Fibre Channel is a set of advanced data transport standards that allow large amounts of data to be moved at multi-gigabit speeds between computers, servers, and other devices. Fibre Channel is widely applied because its high bandwidth, proven reliability and some other benefits. This article will talk about Fibre Channel information. You must be confused the name of this standard. Why is it called “Fibre Channel” instead of “Fiber Channel”? The words “Fiber” and “Fibre” have the same meaning (“Fiber” is the international English spelling style, while “Fibre” is British style). “Fibre Channel” is the official spelling for the technology. “Fiber” just means the transmission media used in optical connections. The term “Fibre” is used by the Fibre Channel standard to refer to all the supported physical media types. Fibre Channel started in the late 1980s as part of the IPI (intelligent peripheral interface) to increase the capabilities of the IPI protocol. Fibre Channel was approved in 1988. The development of Fibre Channel standards serves as a model for the creation of modern transfer technology. From the beginning to its approval, it has gone through a number of iterations. Since it became more interoperable with other protocols and devices, it finally got the approval of American National Standards Institute (ANSI) in 1994. At first, Fibre Channel was used in banks, large companies, and data centres. The installation is too complex especially when the transmitting media is optical fibre. But that bad situation has been changed. Today Fibre Channel seems to be a good choice for organizations with growing data storage needs. Fibre Channel is more likely to be a high-speed switching system that interconnects local devices. Fibre Channel has the benefits of high speed, easy scalability, and attainable network lengths. High speed. Fibre Channel can provide consistent bandwidth of 2 Gbps or 4 Gbps. The rate is expected to double in a few years to 8 Gbps. It will meet the increasing needs of network users. Scalability. Fibre Channel networks perform with equal reliability, high rates, and flexible configuration. So it’s scalable up to thousands of ports even though device connections consist hundreds of integrated servers from different vendors. Guaranteed in-order delivery. Fibre Channel in-order delivery of raw block data. In-order delivery greatly boosts network efficiency. And some applications like video and IP streaming require this. Fibre Channel can naturally streams video frames in order, reducing bottlenecks that would degrade the video’s required speed per second. A successful network deployment requires a lot. You must first know your needs and decide which type of Fibre Channel is the best suitable for your network. Is it a new network or an additional one? What’s the total physical length of the network? How many devices? To answer these questions, you may consider the cabling and connector type. It’s important to choose the right cable type for your network interconnection. 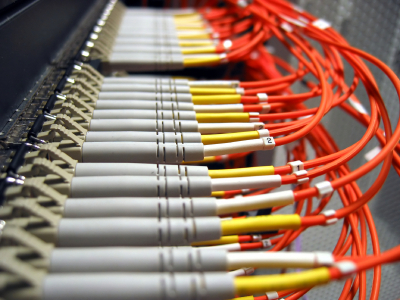 To choose copper or fibre, it depends on the distances between the Fibre Channel devices being about to be connected. Copper cable can be used for short distance. It’s typical in point-to-point and other topologies when devices are mounted in the same rack or are located in the same room. Copper cable is durable and can withstand being stepped on or pulled. It’s easy for installation and maintenance. While, fibre optic cable is for long distance since the distance between devices become longer than before, maybe in different buildings or on different floors of a building. Compared to copper cable, fibre optic cable is immune to the electrical resistance and electromagnetic interference (EMI) which affect signals carried over copper cable. It can support higher data rates. But the problem is that the signal strength over fibre cable is easily to be damaged by the dirt, dust or other material defects in the fibre cable. So fibre optic testing is a must for high performance of the entire network. And much more cares and special tools are needed during fibre optic cable installation. 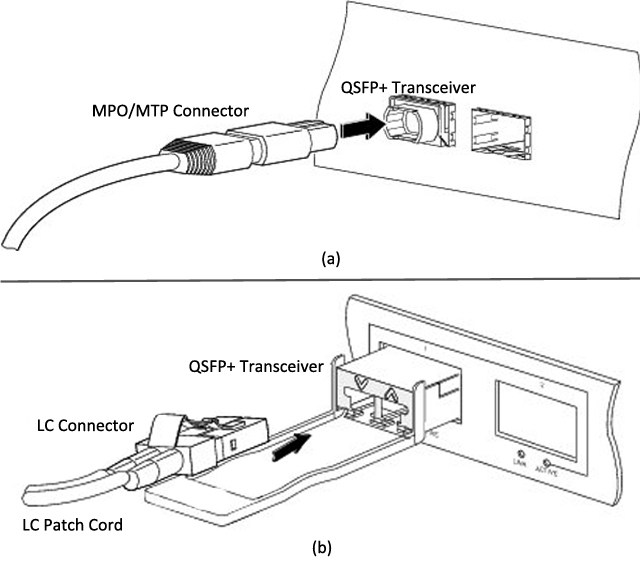 Nearly all Fibre Channel switches requires SFP transceiver modules. 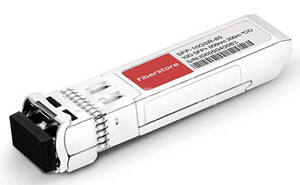 It’s very common to see 2G and 4G Fibre Channel SFP transceivers in the fibre optics market. For 2G and 4G FC SFPs, the interface is designed as “LC duplex”. When plug in LC patch leads, you should better avoid touching the end face of the connector to ensure the network work with long-term, consistent performance and reliability. If the cable is not preterminated, it will be more complex. You need to strip cable’s outer jacket and the fibre coating to attach the connector. All fibre optic connectors should be carefully tested after installation. If it’s possible, try to buy high quality and certified preterminated cables from reliable vendors. Fibre Channel is a flexible, scalable, high-speed data transfer interface that can operate over both copper and fibre optical cable. FS.COM provides 2G and 4G Fibre Channel SFP transceivers which can support distance up to 80 km. All the transceivers have been fully tested. We also offer preterminated duplex LC patch cords for Fibre Channel deployment. For more detailed information, please contact via sales@fs.com. This entry was posted in Fiber Optic Network and tagged fiber chanel, fiber channel transceivers, Fibre Channel, LC, SFP on June 16, 2016 by laura.